In this article Carl Johan Calleman predicts a unification of the modern expressions of some of the most advanced ancient traditions of the West and the East; the Mayan and the Vedic. In this unification it seems that it is the West, the Maya and some other Native American peoples, that is providing the calendrical knowledge about the cosmic plan, while it is the East, the Vedic and Buddhist traditions that is carrying the time-less wisdom of the Self. The practical unification of these thought systems and traditions is then brought about by all those that are taking a path towards Enlightenment And according to the Mayan calendar, the time for this is now. The prophetic Mayan calendar is unique among the calendars of the world in being a non-astronomically based calendar. Rather than being based on the physical movements of the earth, sun and planets it charts the changing spiritual energies of cosmic evolution. Unlike the world’s many astrological systems the Mayan calendar is not based on the Earth’s precession or positions of the stars. It is however the only calendar that is proven to be prophetic and the predictions made from it are repeatedly verified. From this perspective it is then natural to ask what this calendar has to say about the mission of Kalki in today’s world as well as Enlightenment in general. Kalki, who is an Enlightenment avatar in South India that since the early nineties has actively sought to help people attain the Enlightened state, in fact uses the same framework as the Mayan calendar for the change in consciousness that we are currently living in the midst of. A good starting point for such a discussion is then the ideas put forth by Kalki himself and those around him. Since I have not heard this developed first-hand I can only recapitulate what I have been told, basically that the time for humanity to become enlightened is now and that this now will only last until the year 2012. There are two remarkable things about these views. The first is that by presenting such a perspective Kalki makes a break with the traditional Eastern view. According to the traditional perspective, Enlightenment ­ which by itself is a kind of entry into a timeless reality, an ever-present now ­ is something that happens independently of human history. It has been regarded as a state that may be attained at any point in time as a result of the application of various methods of individual spiritual purification and enhancement. Hardly any traditional Eastern text mentions an exact point in time at which Enlightenment is to be attained. Moreover, in most of them Enlightenment is seen as something that is the goal of the individual as if he or she was separate from cosmic evolution. The second noteworthy thing is that the year set for the accomplishment of this mission, 2012, coincides with what to the rest of the world has become known as the ending year of the Mayan calendar; 2012. (Actually the true date for the completion of the cosmic plan is October 28, 2011, but it would lead too far to go into why). Although this concordance of the dates was not originally known to Kalki, it does provide for a unification of the world views of the East and the West on a new and higher level. In fact, that Kalki, and the prophet who originally pronounced this prophecy to him, did not originally know about the existence of the Mayan calendar, makes this confluence of dates all the more telling and remarkable. It points to the reality of the Mayan calendar that in certain aspects can be intuitively accessed by any inhabitant of this planet, and truly independently verifies the existence of a cosmic time plan that the majority of humanity is still oblivious to. Briefly, the Mayan calendar is associated with nine creation cycles, which represent nine levels of consciousness or Underworlds as symbolized by the Mayan pyramids. This pyramidal structure of consciousness development can explain things as disparate as the common origin of world religions and the modern complaint that time seems to be moving faster. Time, in fact is speeding up as we transition from the materialist Planetary Underworld that still govern us to a new and higher frequency of consciousness ­ the Galactic Underworld ­ in preparation for the final Universal level of conscious Enlightenment. The Mayan calendar is thus a spiritual device that enables a greater understanding of the nature of conscious evolution throughout human history and the concrete steps we can take to align ourselves with this cosmic evolution toward Enlightenment. Interestingly then, the Mayan calendar places Kalki’s mission in a context, the divine plan as charted by the Mayan calendar. A distinguishing characteristic about the Mayan calendar is thus that new ways of thinking about religion and spirituality ­ and the individuals that promote these who usually are referred to as avatars or prophets ­ emerge at clearly definable times as related to the Mayan calendar. They in other words often emerge at times propelling significant changes in consciousness as defined by the Mayan calendar. An obvious example is the Buddha, Siddharta Gautama, whose year of birth is often given as 552 BC, which is the exact midpoint of the Mayan Long Count starting in 3114 BC and ending in 2012. Another is that Christianity began to be widely taught around AD 40, as the Ninth baktun, ruled by Quetzalcoatl, the Lord of Light in ancient Mexico, began to dominate the consciousness of people. The point to realize is that spiritual leaders do not just pop up randomly in the history of humanity, but at times where the cosmic plan alters the consciousness of people in such a way that people become receptive to their message. If Jesus, for instance, would have appeared with his message in the baktun beginning 1538 BC, he would rapidly have been forgotten as, in the consciousness ruling at that time, his message would have fallen on deaf ears. It is the evolution of consciousness among humanity as this is defined by the Mayan calendar that defines what spiritual messages people are receptive to at any given time. In this sense, also the message of Kalki, and the path towards Enlightenment that he points out, appears at the current time simply because the Cosmic Plan has now endowed people with a consciousness that makes them receptive to this message. Of course, if human evolution is looked upon in this way, the role of individual prophets is somewhat lessened. They are, as the rest of us, only agents of the Cosmic Plan and its divine purpose. And so, there may be many different types of spiritual practice, embodied by several different individuals, that may be leading people to the state of Enlightenment. All that the Mayan calendar is saying is that at the current time the evolution of consciousness is becoming increasingly more favorable to the consciousness change that attaining the Enlightened state means. It does not say that there is only one individual that can help bring this change about, nor does it say that there is only one type of spiritual practice that may lead there. What it does say however is that step by step there will be a change in consciousness in the current Galactic Underworld that until October 28, 2011, will make Enlightenment a state that is increasingly more easily attained. To the majority of humanity however, events ­ not only the attainment of a state of Enlightenment, but also changes in religious thinking or technological innovations ­ happen more or less at random and are unrelated to its evolution at large. This denial or ignorance of a cosmic time plan for the evolution of humanity blinds it to its higher purpose. We should then not be surprised that the world looks the way it does as most people to not recognize that they are here to fulfil a purpose and to do this in a limited amount of time. A view of history as being random fosters not only a lack of hope, but in many also an irresponsible attitude towards life. Hence, the overriding importance of working to disseminate information about the Mayan calendar in today’s world and Kalki has encouraged adepts to study it. The current unification of the modern expressions of some of the most advanced ancient traditions of the West and the East, the Mayan and the Vedic, in fact creates an opening for an understanding that human life has an inherent purpose. Even if the modern East and West in recent times have been engaged in many conflicts it thus seems possible that, if we are willing to explore their ancient origins, it is possible to find some common ground, in fact an entirely new world view that is whole and where nothing is separate from the All is now gradually emerging. In this unification it seems that it is the West, the Maya and some other Native American peoples, that is providing the calendrical knowledge about the cosmic plan, while it is the East, the Vedic and Buddhist traditions that is carrying the time-less wisdom of the Self. The practical unification of these thought systems and traditions is then brought about by all those that are taking a path towards Enlightenment and according to the Mayan calendar the time for this is now. In so doing we are collectively speaking creating the Universal Underworld. 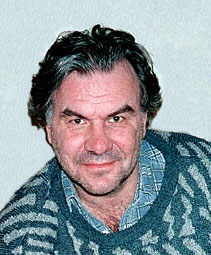 Carl Johan Calleman is one of the main teachers at the Experience Festival at The World University of Consciousness where two of the topics in focus are Spiritual Awakening and Enlightenment.